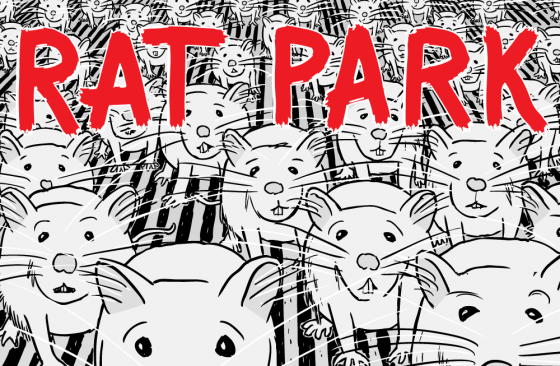 This blog post discusses the lessons that I learnt crowdfunding my comic Rat Park in 2012. Firstly the good news: my Rat Park comic was successfully crowdfunded by 117 of my fans! It is a great feeling to know that so many of my readers care enough about my comics that they are willing to personally fund them. This was the first time I allowed my readers to directly invest in the creation of new stuartmcmillen.com comics, and the first time I offered printed merch. It was also the first time I revealed my face to my readers via my two promotional videos (1, 2). In short, it is great to have the support of paying fans keen for me to ‘do my thing’, and create Rat Park. I will not let you down! What did I learn from my first experiences with the crowdfunding model? Add 20% padding for contingencies. Personal example: Australia Post upped their postage costs midway through the Rat Park campaign, but I had a safe buffer. Read this guide. Offer appealing rewards. Don’t gouge your fans for $25 ‘certificates of appreciation’, or other bogus “rewards”. Make sure your rewards are genuinely appealing to fans, and represent value. You will need the supporters of all budgets, so ensure you cater to a large spread from $1 to $1,000. Add personalised touches where possible. Your campaign will succeed if it is as much about serving your fans’ needs, as it is serving your needs. Include a video. Keep it simple: I originally planned a video with lots of humour, but realised the jokes would interrupt the directness of me speaking frankly to my readers. 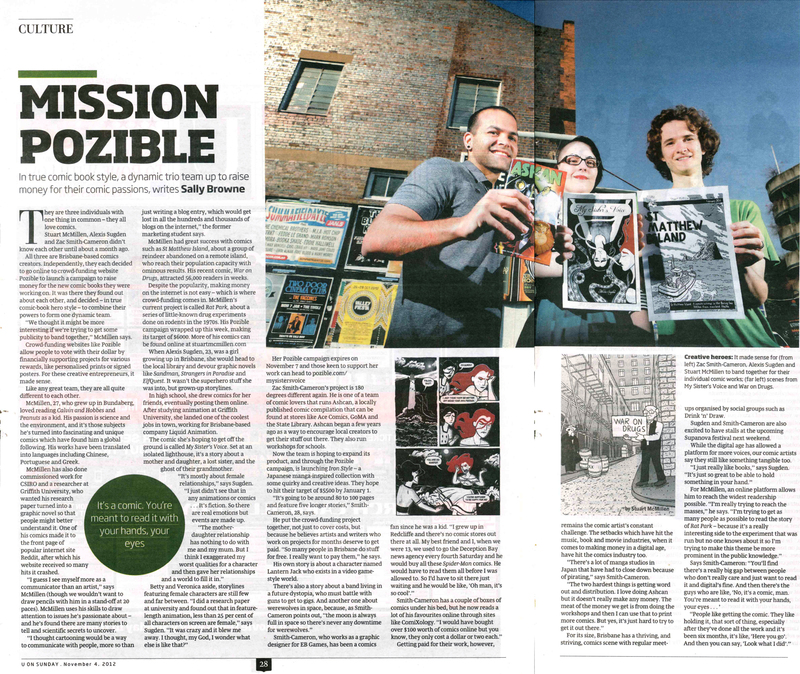 I used a budding film student (friend of a friend), who was happy to work for free…but delighted to work for beer! By contrast, I had a wave of pledges following video #2 which clearly explained the story of Rat Park. If only I had released that video from Day One, rather than in the final 4 days of the campaign! Read up on rewards psychology. Don’t even think about screwing your supporters with bad value-for-money rewards… …however, recognise that tempting rewards can compel fans to reach a little outside their price range. Make fans want to stretch a little further for you. Prepare a media strategy… Have a media release ready to go on Day One, and line up coverage as early as possible. A key newspaper article about me and Rat Park did not get published until the weekend after the campaign finished! I was lazy, and did not even write a media release until 1 week into my campaign. …but don’t expect the media to do all the work for you. That includes social media. If you are expecting your campaign to be a runaway success with oodles of strangers trumpeting your cause, you’re doing it wrong. Most of your pledges will come from your friends, family and a small core of engaged supporters. Expect marketing your campaign to be a full-time job. I must have spent 3 straight weeks solely dedicated to promoting my campaign. Your involvement will probably make or break the campaign. Don’t expect it to ‘run itself’. Brace yourself for the quiet times… I had a ‘drought’ week where I raised only $259 from 11 supporters. Way below what I needed to stay on par for my $6,000 target. It’s hard not to feel depressed during the slow times. …but realise that things usually pick up at the end. Don’t ask me the psychological reason, but many people will wait until the last minute to make their pledges. I doubled my pledge tally in the last week – after I had all but resigned myself to failure. Recognise that a solid ‘home stretch’ campaign will be useful in pulling you over the line. But you will need to mix it up – show your fans a second video, or a compilation of your recent media coverage. My favourite ‘how to run a successful Kickstarter’-type guides are linked in the above bullet points. Scenestr feature article – Caught in the Crowd, by Rohan Williams. 24 October 2012. 4ZzZ community radio – Zed Book Club – Brisbane Cartoonists Interview feat. Zac, Alexis and Stuart, by Sky Kirkham. 25 October 2012. The Sunday Mail U on Sunday magazine feature article – Mission Pozible, by Sally Browne. 4 November 2012. Glad what I wrote was useful! Let me know if you have feedback, or ever turn up in NYC and want a high five or a beer. :-) Now I have more cool comics to read, which makes life better. Congratulations!